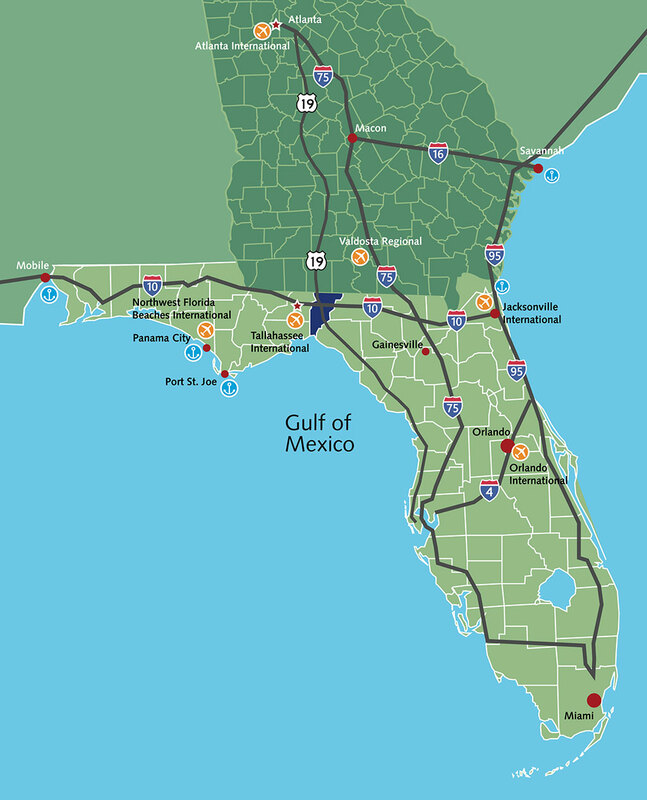 Jefferson County, consisting of about 600 square miles, is located in the northern part of the Florida peninsula and stretches from the Georgia border to the Gulf of Mexico. The region is known as the “Big Bend”, because of the arc where the Gulf’s shoreline connects with the western peninsula. The County is part of the Tallahassee Metropolitan Statistical Area. Others counties in the MSA are Leon, Wakulla and Gadsden. The I-10 corridor runs east and west through Jefferson County, with a daily traffic count of approximately 16,000 vehicles. Three interchanges offer opportunities for business parks and industrial and commercial enterprise. U.S. Highway 19, a divided 4-lane, provides north/south access. Other major highways are located nearby and offer additional market access across the US and into Canada. Tallahassee International Airport (KTLH), with passenger and cargo service, is less than an hour away. Port of Panama City and JAXPORT are deep water ports within three hours of Jefferson County. Port of Panama City is on the Gulf of Mexico Intracoastal Waterway and is easily accessed by I-10 and other state highways. JAXPORT is located in Jacksonville on the east coast of Florida and is served by a number of ocean carriers. 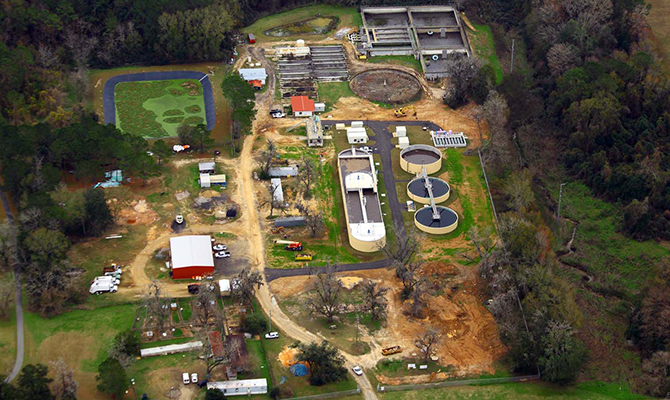 The City of Monticello provides water and sewer services to commercial and residential users in the city and to a number of unincorporated areas of the county, including the Industrial Park and the I-10/US 19 interchange. Excess capacity and a state-of-the-art water treatment facility offer opportunities for expansion into additional services areas. Duke Energy is the largest electric utility provider in the U.S., with a major presence in our region. Duke has a strong focus on economic development and partners with us to improve commercial and industrial sites. Tri-County Electric Cooperative serves rural commercial, industrial and residential customers in parts of Jefferson County and is a reliable source of affordable electric service. Several fuel oil and LP gas distributors serve the needs of our commercial and residential community. The Florida Gas Transmission Company maintains a natural gas transmission line in the southern portion of the County and we are exploring ways to tap into the line as an additional energy resource. Mild winters mean your winter fuel bill will be really low! High speed Internet and telephone service is provided by CenturyLink, with speeds of up to 40Mbps. Network expansion plans are in the works to make 1 Gigabit per second speeds available.